[W]e have said we are not going to European-ise the Mustang with a hybrid or anything like that. This will be a muscle car through and through. Part of the deal with the U.S. letting us have one of their icons was that we kept our hands off it and that it had to be a ‘proper’ Mustang, so it will be. Anything I say will be misinterpreted. On one hand, I think there are certain aspects of the Mustang brand that are sacred and on the other there are some that can change, like the F150… being really successful with an EcoBoost engine. 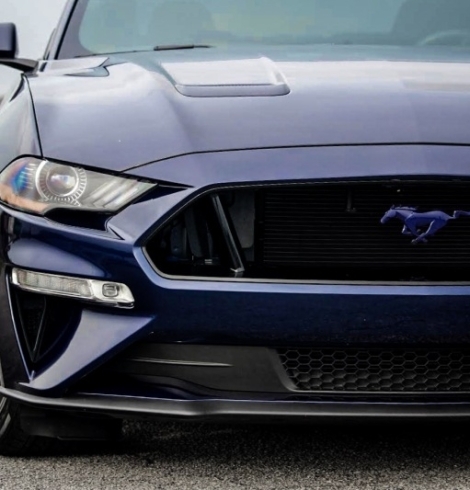 The latter comment should be no surprise with rumors abound that the 50th Anniversary Mustang will likely be available in Ford’s turbo four-cylinder EcoBoost engine. de Waard also responded to Top Gear host Jeremy Clarkson’s recent mocking of Ford’s decision to fit a EcoBoost four-cylinder in the muscle car for Europe. He said that the last thing he wanted to do was “make Clarkson unhappy.” “I don’t think anyone can pretend they know how to keep Jeremy happy, but I sure hope we do with the new Mustang,” he added. With all this talk of the 2015 Mustang getting at least EcoBoost 4 cylinder turbo engine, we thought this primer guide might be helpful for any readers not familiar with the past and current EcoBoost turbo engine lineup. GENEVA — Ford Motor Co.’s product development team is facing its toughest challenge yet in developing a global design language: creating a Mustang that works outside North America. The next Mustang, scheduled to arrive next year, is scheduled for sale in Europe and other parts of the world. 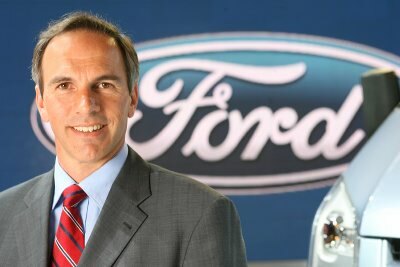 For Ford of Europe design chief Martin Smith, that means Ford has “a knife edge to walk” in keeping the fabled pony car attractive to American loyalists while appealing to new buyers. “It won’t cost $1 million,” he added, in a reference to the several seven-figure models on display in Geneva. 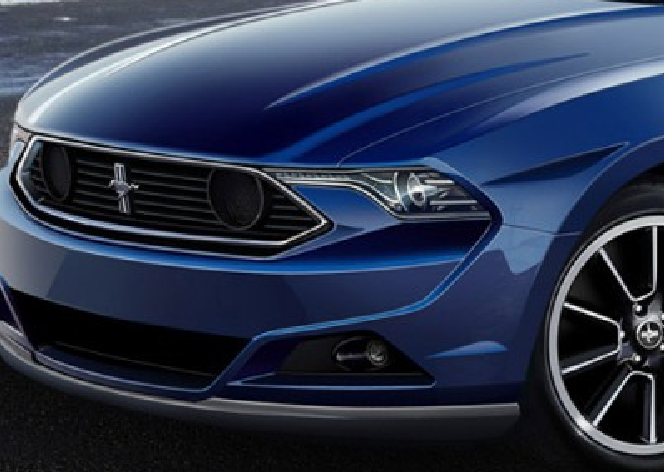 The development process is moving the Mustang to Ford global design and engineering standards, while trying to maintain its identity as “a North American icon,” Smith said. The next-generation Ford Edge also will be sold in Europe. Although a few Mustangs have been sold in Europe by private importers, Ford will sell the next generation through its dealer network as part of the “one Ford” push initiated by CEO Alan Mulally. Ford also showed the five-seat Tourneo Connect, the next generation of the Transit Connect in the United States. 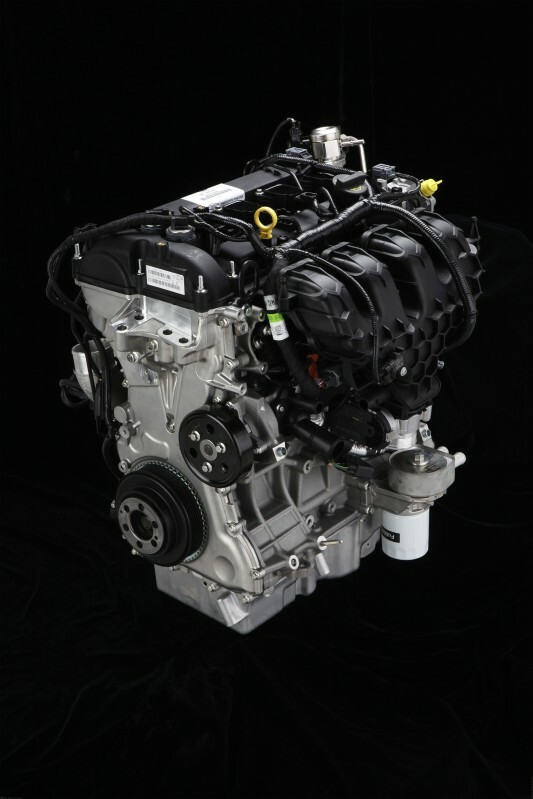 The previous rumors of an European-only 2.3-liter EcoBoost four-cylinder engine by Edmunds was met with mixed reactions and debate. 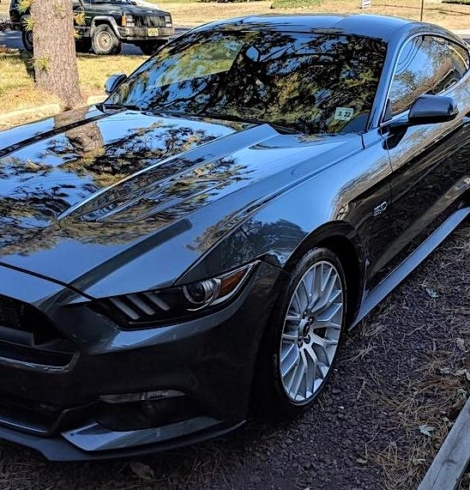 But, if this new rumor is true, all fans (or critics) of the next Mustang receiving the Ecoboost 4 cylinder turbo should be satisfied, as this means the 2015 Mustang will offer all powertrains – a V6, Ecoboost 4 cylinder, and a 8 cylinder. But, we now have conflicting reports on this issue from two major sources, so time will tell which is actually true. For well over a year now, there have been rumors of a four-cylinder engine making its return to the 50th Anniversary of the Mustang. Until now, it has been assumed that the four-cylinder would be offered in the United States. Edmunds.com is now reporting, after speaking to Ford executives at the Geneva Auto Show, that the 2015 Ford Mustang is slated to get a fuel-efficient 2.3-liter four-cylinder, but only for European editions. We certainly did not expect any news about the 2015 Mustang to come out of Geneva, but this is a welcome surprise! The 2015 Ford Mustang is slated to get a fuel-efficient 2.3-liter four-cylinder gasoline engine, but only for European editions. The engine is based on the turbocharged 2.0-liter EcoBoost four-cylinder engine featured in the 2013 Ford Focus ST.
Engine output is likely to rise from 252 horsepower to 300 hp in 2.3-liter form, according to company insiders. GENEVA — The 2015 Ford Mustang is slated to get a fuel-efficient 2.3-liter four-cylinder gasoline engine, but only for European editions of the pony car, Edmunds learned at the 2013 Geneva Auto Show. 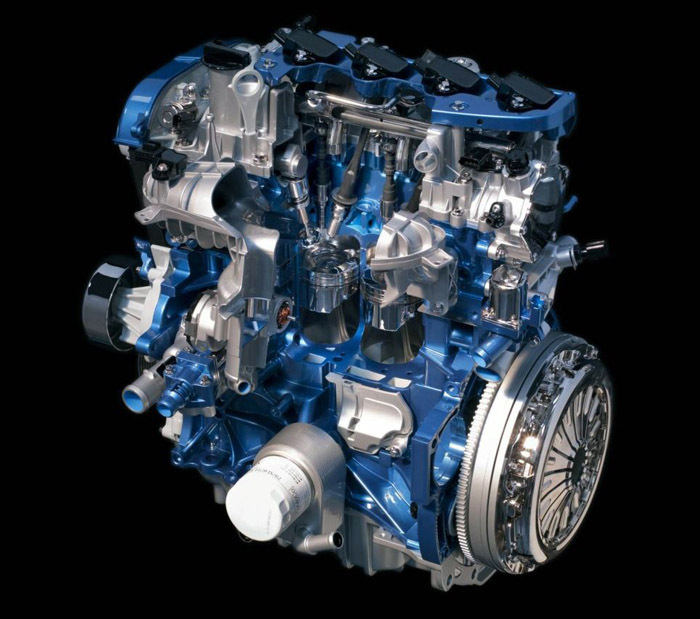 The four-cylinder engine in the European Mustang is based on the turbocharged 2.0-liter EcoBoost four-cylinder engine featured in the 2013 Ford Focus ST.
Engine output is likely to rise from 252 horsepower to 300 hp in 2.3-liter form, according to company insiders. The 2013 Ford Focus ST achieves 23 mpg in city driving and 32 mpg on the highway, according to the automaker. Ford announced that the Mustang would be sold in Europe last September as part of the company’s aggressive product acceleration in Europe. “You only have to look at the incredible response to Mustang when it has appeared this summer at the Goodwood Festival of Speed, in the U.K., and at the Le Mans Classic, in France, to get a sense of the excitement this American icon generates across Europe,” said Stephen Odell, Ford of Europe CEO, in a statement at the time. No word yet on Mustang pricing in Europe. 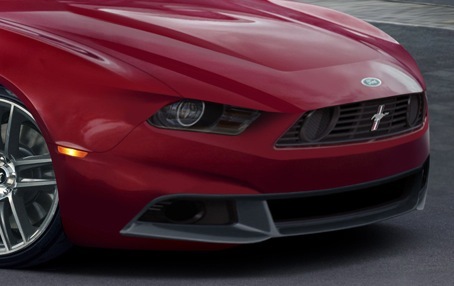 Most everyone refers to the next gen S550 platform Mustang as the “2015 Mustang” but it may actually come as a 2014 1/2 model. Why the possible strange model year designation? According to rumors, Ford may be planning to produce a limited run of 2014 1/2 Mustangs, as homage to the 1964 1/2 Mustang, the grandaddy of them all that kicked off the Mustang’s now almost 50 year life. The 2014 1/2 Mustang was: “introduced to the public on April 17, 1964, at the New York’s World Fair. The night before, the new Ford Mustang was the pace car at a stock car race in Huntsville, Alabama. The car appeared on the covers of Time and Newsweek. Advertisements appeared in more than 2,600 newspapers and on the major television networks. More than four million people visited showrooms, and more than 22,000 cars were ordered on the first day. First-year sales totaled more than 417,000, shattering previous sales records of any one model in the history of the automobile. The Mustang was selected to pace the Indianapolis 500 in 1964. 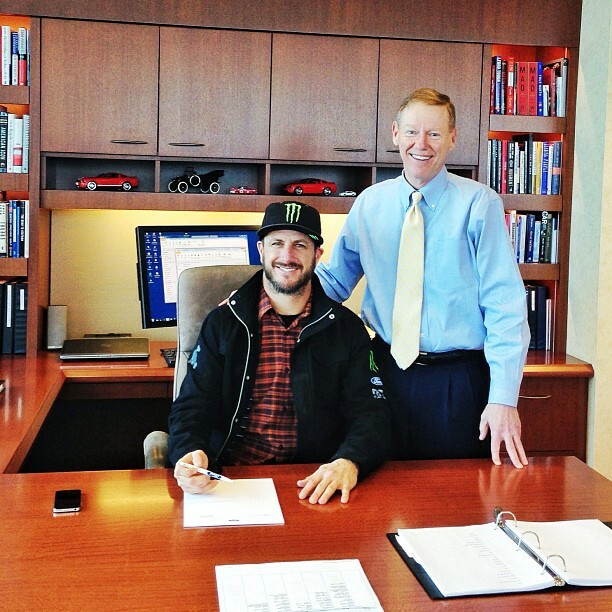 Lucky Ken Block recently got a private preview of the 2015 Mustang at Ford world headquarters (on 2/18). Here’s some Instagram photos he posted. Here’s what he had to say on Instagram: “I got to see the next generation Mustang today (it’s dope) at the Ford design center! Sorry, but this is the only photo they would let me show you.” <– too bad! And in case you’re not from earth, that’s Ford CEO Alan Mulally standing next to Ken. 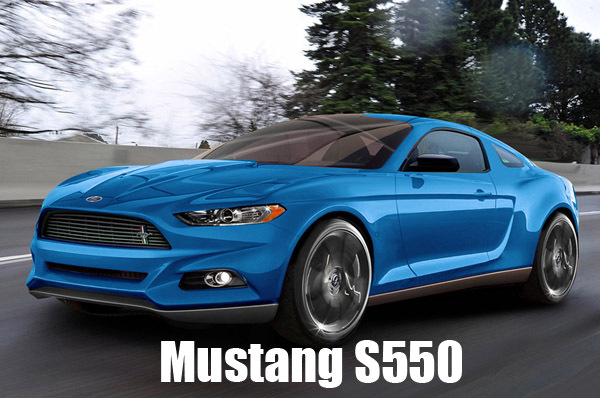 The platform name for the 2015 Mustang has been confirmed to be the “S550“. This will be the sixth platform in the Mustang’s nearly 50 year history. This is the first new platform since the S197, which began way back in 2005. 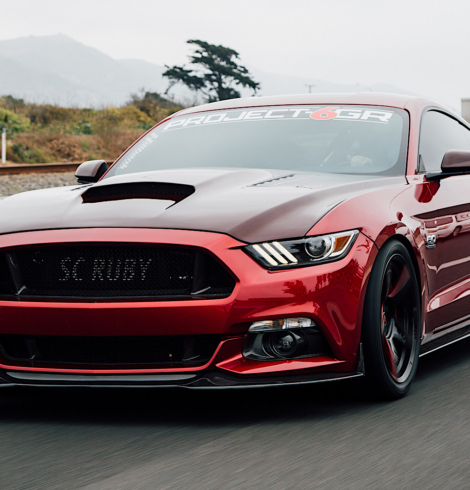 Signifiacant updates to the S197 Mustang came in 2010, 2011 and 2013, but the changes were not substantive enough to warrant a platform designation change. 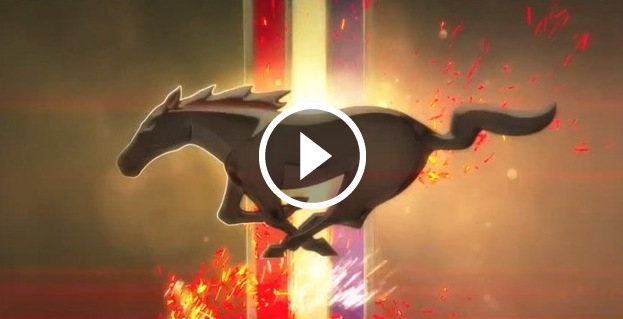 What to expect from the 2015 Mustang (S550)? Styling expected to be more modern and less retro, possibly taking cues from the Ford Evos Concept. 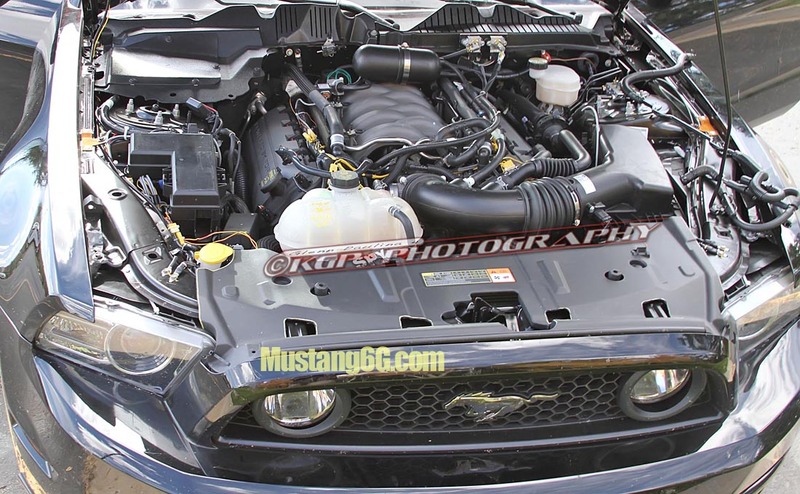 We’ve gotten our first look under the hood of a 2015 Ford Mustang Mule, revealing not only its engine, but also some interesting signs of repackaging that could point to some aspects of the the next Mustang. Check out the photos and analysis inside. Ford held its “Go Further” product presentation event in Amsterdam today where it has unveiled 15 new or restyled vehicles for the European market that it will launch over five years to revive sales. But more importantly to Mustang fans comes the confirmation that Ford will sell the next Mustang directly in Europe. This means that European Mustang fans will no longer have to rely on private retailers importing the Mustang. The company has also released a 30 second video teaser announcing the decision to bring the Mustang to Europe – see it INSIDE.